The Laurier Library Exhibit is a visual depiction of graduate student research that enhances the visibility of local work in a unique and creative forum in partnership with the Laurier Library. Graduate student work will be displayed once per year in the winter. 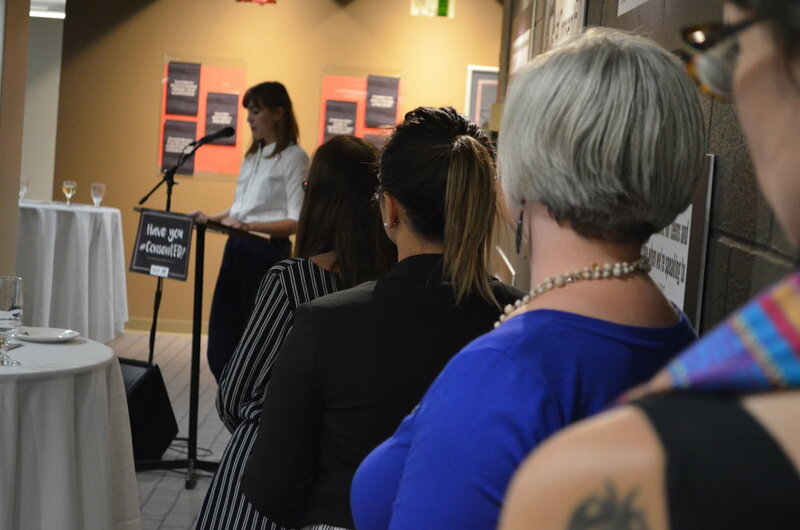 To help make this exhibit possible, the Library Exhibit Advisory Committee has allotted $3000.00 to support each successful candidate in the development of this exhibit. This funding could be used to exhibit materials, marketing tools and/or event catering. The Laurier Exhibit Advisory Committee is composed of, (1) the University Librarian, (2) the Library Communications Officer, (3) the GSA President & CEO, (4) a graduate student, and (5) a university representative. The 2018 application period is now closed. C. Elizabeth Best 2017/2018 exhibitor, showcased the artwork that she created in tandem with her academic work. The series of paintings complemented her Master's thesis which reconstructs Indigenous activism in the era of Red Power, 1972-1976. 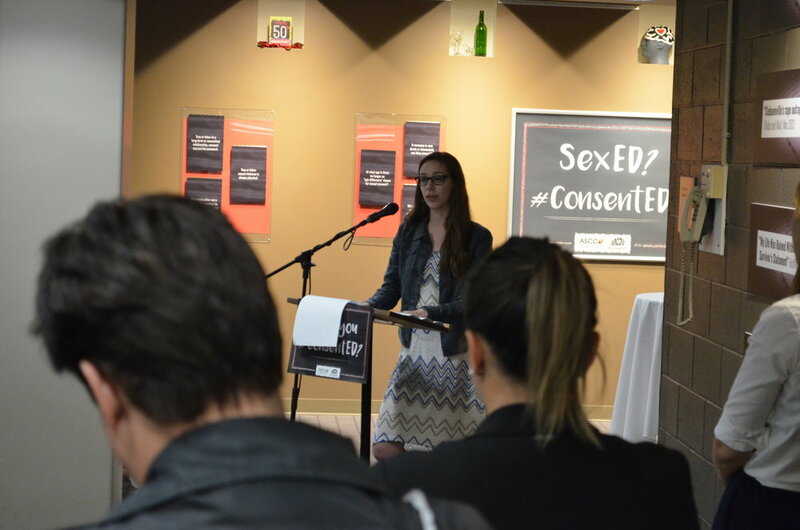 Eleanor McGrath, 2016 Laurier Gold Medal Recipient, showcased her research which explored knowledge and confidence about sexual consent, and the need for better consent education. 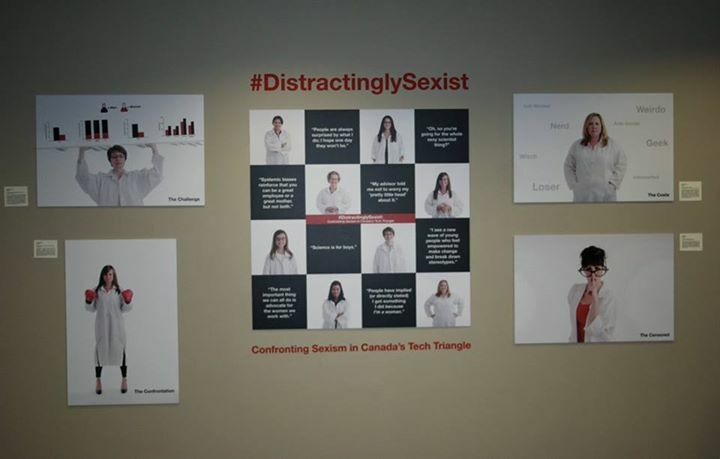 Eden Hennessey, Laurier’s 2014/2015 Researcher of the Year, showcased her research on how women respond to sexism in science, technology, engineering, and math (STEM).